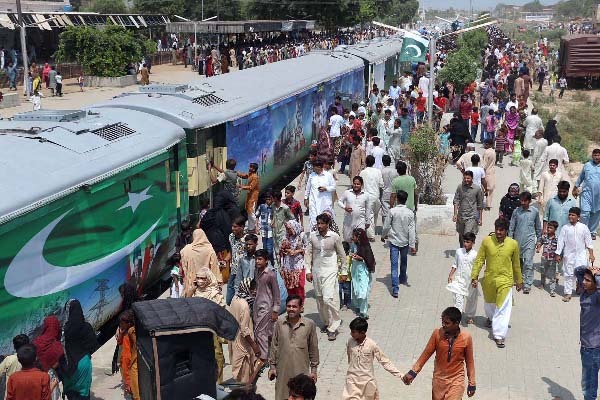 SAHIWAL Aug 21 (APP): A large number of people warmly received special ‘Azadi Train’ here at Sahiwal railway station. and Lok Virsa presented national songs on the occasion and got big applause from the audience. includes on Fazal Jutt, Shahid Ali Khan and Imran. specially government of Pakistan for arranging such a beautiful train to celebrate Independence. visit. Later, the train will visit Balochistan and Sindh Province.